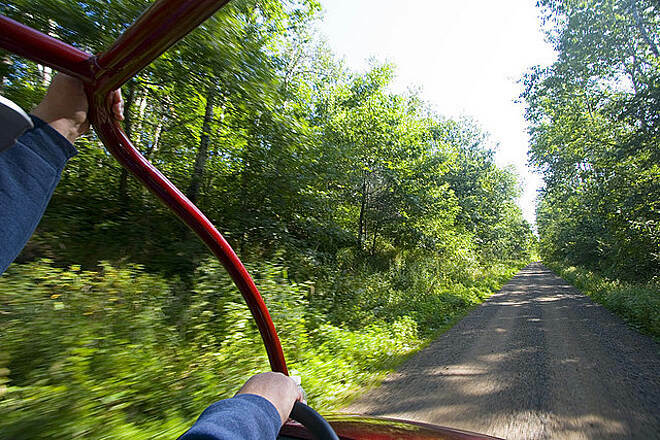 The Soo Line Trail Southern Route is more popularly known as the Soo Line South ATV Trail. 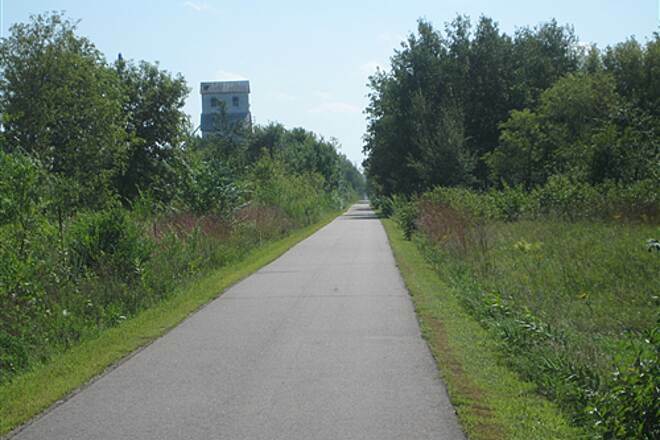 The converted rail-trail runs for 105.6 miles in Minnesota between Royalton and the Minnesota–Wisconsin state line east of Pleasant Valley. 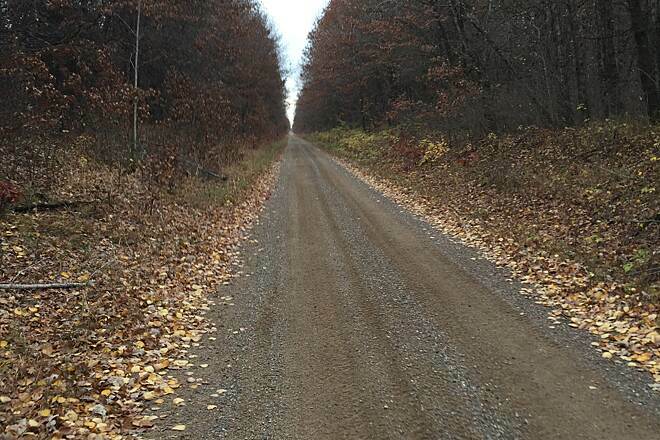 The Soo Line South ATV Trail continues uninterrupted into Wisconsin, here known as Saunders State Trail, traveling for another 8.4 miles to Boylston Junction near Superior, WI. 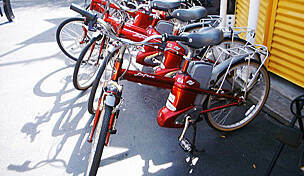 The entire route, including the Wisconsin portion, is open to motorized use. 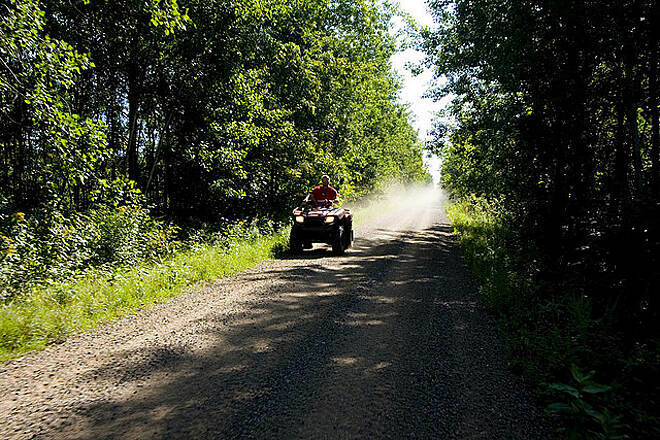 This scenic route includes a mix of woods, farmland and trestle crossings on the Kettle River and Birch Creek and includes the Northern Pine Riders ATV Trail. 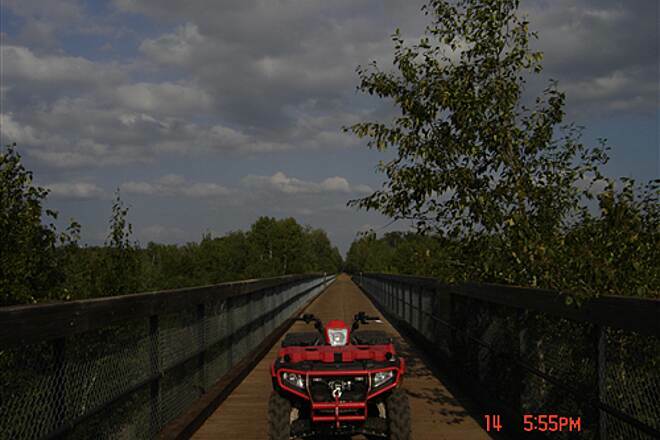 The Soo Line Trail South connects with the 148-mile Soo Line North ATV Trail, southwest of Moose Lake. In Royalton the rail-trail continues southwest on the other side of US 10; however, this section, known as the Soo Line Recreational Trail, is open to non-motorized use only. 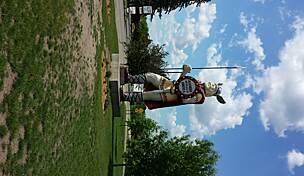 I started near Royalton on a fully loaded plus tire bike. Morrison counties portion is good trail of smaller gravel. Lots of open farmland. Mille Lacs county the trail turned nasty with bigger ballast and rough. Onamia to Isle is paved. I stayed at Father Hennepin State Park in Isle. Stocked up on snacks at the small grocery store. 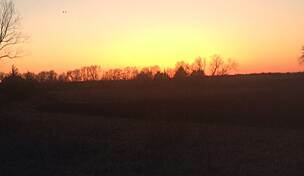 Farmland changed to wetlands. Carlton County the trail was good again. A couple miles of off the rail bed trail with mud and hills. A fun distraction. I stayed another night at Moose Lake State Park outside of town. There to the Wisconsin line is good trail. Wisconsin line to the end is horrible. Thick layer of ballast rock. A foot deep in places making it harder to pedal through than sand. All across the trail the road crossings, bridges and generally the trail through wetlands were very rough. I rode late June and the deer flies were out in abundance as was a wide variety of wildlife. My trip was mid week so the atv traffic was very light. The trash cans along the trail are full of beer cans and the posted speed limit is 50mph. I was on a week long ride and was loaded with gear, the plus tire was the right choice for me. camp sites near red top. What are some of the better campsites near red top? I have not ventured on the soo line yet and looking for a place to pitch a tent mid way between royalton and the northern soo line. Any help is appreciated!! Are there enough places to fuel up? 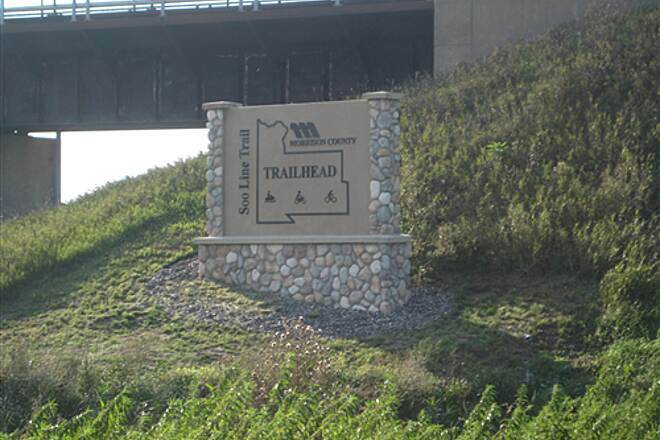 Can anyone tell me about the Trailhead in Onamia? 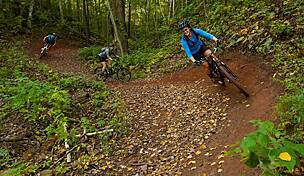 Looking for a convenient parking area close to the Trail in Onamia any suggestions? 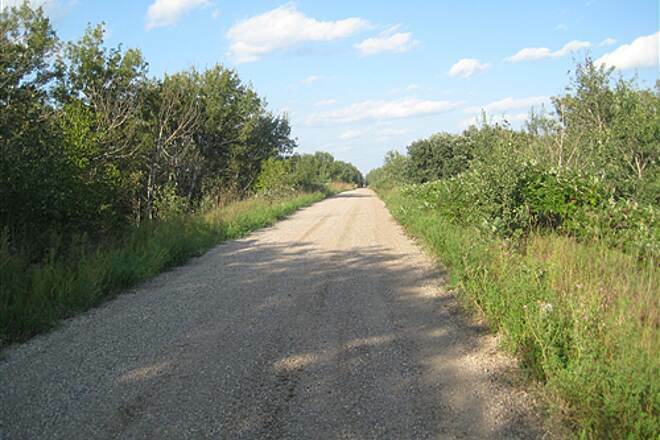 The Soo Line trail between the trailhead at US-10 and Holdingford (the start of the Lake Wobegon Trail) is fully paved and excellent for hiking and biking. 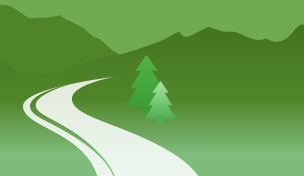 As of 3/10/12 GoogleMaps does not yet use this for plotting courses, however. East of US-10 this trail is compacted gravel and is intended for ATVs but could be used for hiking or mountain biking. 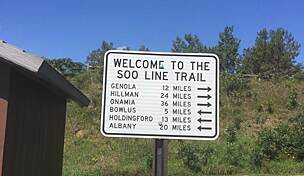 The Soo Line Trail - Southern Route has a newer addition beginning at Highway 10 south of Little Falls, MN that takes you through the communities of Bowlus and Holdingford and eventually connects with the Lake Wobegon Trail taking you into Albany. 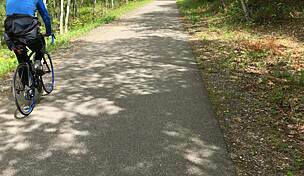 Unlike the section of trail running east of Highway 10, this newer segment is paved. 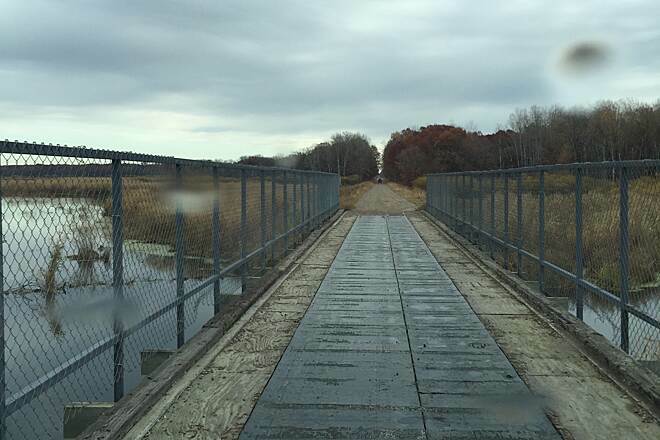 Leaving the trailhead on Highway 10, an overpass takes you right over the highway and adjoining railroad tracks. 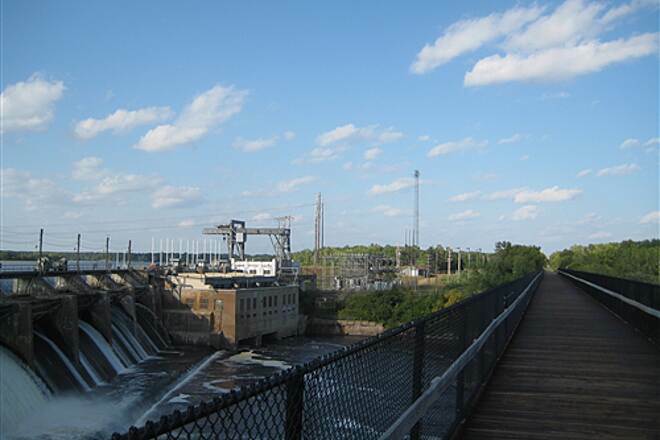 Roughly a mile or so down the trail, the trail crosses the Mississippi River with some breathtaking views of the river, Blanchard Dam and gorgeous scenery. In nearby Bowlus, there is a nice trailhead where the community recently remodeled the train depot into a very functional community center. 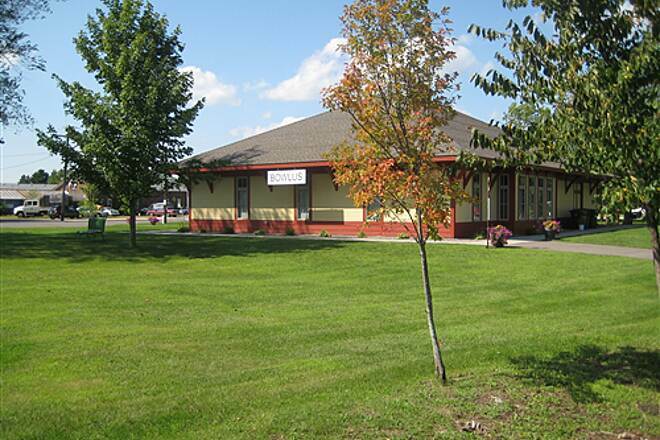 Bowlus also has some conveniences (cafe, convenience store, bank, etc). 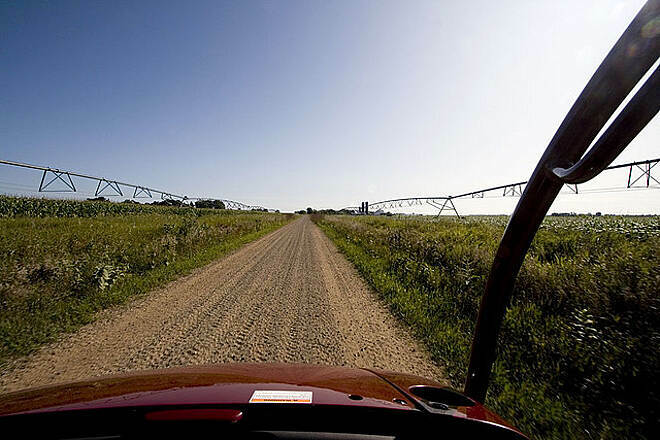 From here, the trail continues to the community of Holdingford and eventually connects up with the Lake Wobegon Trail. 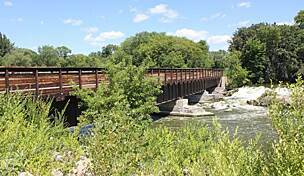 The trail runs through a variety of landscapes including forests, prairies, marshes, farm ground and even a few lakes. The particular day I rode was quite nice for late August, with high temperatures in the low 70's with a bit of a breeze. 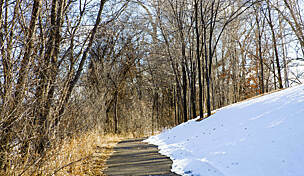 It was well worth checking out this trail while visiting on a recent business trip to centrail Minnesota.